THE decision by Vanuatu not to sign PACER-Plus sets the benchmark for a how to progress on PACER-Plus ahead of the signing next week, says Adam Wolfenden, Trade Justice Campaigner with Pacific Network on Globalisation (PANG). "Now that the outcome is finalised Vanuatu can proceed to make a clear-headed decision following a thorough analysis on the full extent of the Agreement," Mr Wolfenden said. "The recent release of the full text of PACER-Plus is only now allowing the full light of day to be shone on what this deal will mean for the Pacific. These are incredibly complex legal documents that need time for all Pacific Islanders, including Members of Parliament, to understand as well as have the opportunity to have their voices heard on any decision." He said the report released last year "Defending Pacific Ways of Living: A Peoples’ Social Impact Assessment of PACER-Plus" highlighted the threats that PACER-Plus will pose to the right of governments to regulate and intervene to ensure the economy is serving the people, the right to food, as well as the negative health implications. 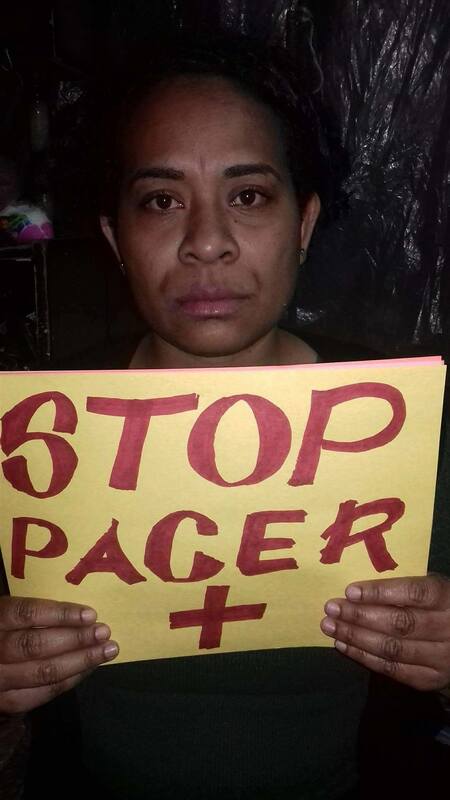 "We are also seeing the Tongan government being petitioned by Tongan civil society to defer any decision to sign PACER-Plus until there has been more time to assess the impacts. Clearly the rush to sign off on PACER-Plus is pushing the deal over the development of the Pacific Island nations", continued Mr Wolfenden. He said a petition had been launched calling on all PACER-Plus Trade Ministers to defer any decision until further assessments have been undertaken. "We are calling on other Pacific Island Countries to follow Vanuatu’s lead and postpone any decision to sign PACER-Plus until there has been sufficient time to assess the full extent of its benefits and burdens", said Mr Wolfenden. The PACER-Plus signing ceremony is scheduled to take place in Tonga on June 14.